Here is a complete ear piercing care and cleaning guide for you to follow after you have already made your piercing. You will know what is a normal condition of your newly pierced ears, how to stay healy and what should be avoided during this time. Take regular saline solution with no additives (read the label) or dissolve 1∕8 or ¼ tablespoons of iodized fine-grain sea salt in one Cup (8 oz.) warm distilled or bottled water. You can dissolve half or the whole teaspoon in a liter of water (32 oz.) and store the mixture in the fridge, using a little for each wash. It is not recommended to do a stronger solution – it will only cause irritation. Use mild unscented preferably anti-microbial liquid soap. How to clean the piercing? Wash your hands before touching your piercing! 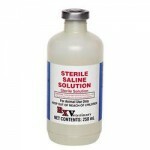 Soak the piercing in saline for 5-10 minutes several times a day. After that, gently clean the location near the piercing with a gauze or paper tissue with saline solution. Tip: if you need to wash vertical piercing, it is convenient to use the soft caps from bottles of saline. If, for example, one needs to flush a microdermal on your face, then pour some liquid on it, tilt your face horizontally and press the soft cap to the skin. Use liquid soap once a day. Apply quite a bit of foam for a few seconds during showering or follow the manufacturer’s instructions. Carefully remove remnants of the foam without rotating the piercing. 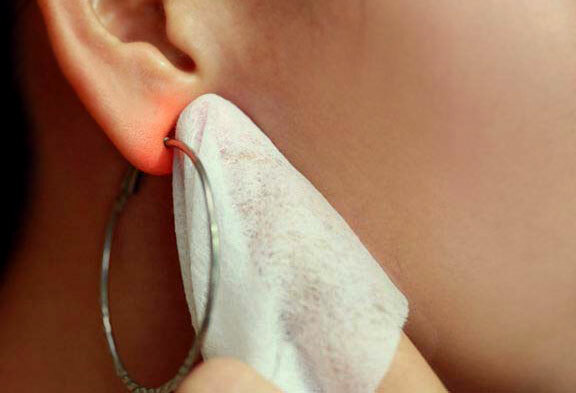 Wipe dry the skin near the piercing only with paper towels: fabric may catch the piercing and cause injury. Originally a small bleeding, localized swelling and soreness is normal. While healing, there may appear whitish-yellowish fluid (not pus!) and form a crust on the surface. That’s okay too! It may seem that the piercing can dry in inside the piercing hole, there’s no need to pull it; if you don’t take time every day for ear piercing care, the secretions will be accumulated. And, though it is also completely natural it smells. You may find that piercing is healed very quickly. But it is not true: it has healed only outside, but inside the process is still going on. Be patient and continue to do daily ear piercing cleaning. Even if you had the piercing for years, after removing the jewellery, holes may close very very quickly. Do not leave it without jewelry for a long time, if the piercing is important to you. Again: wash your hands before touching the jewelry. This is very important for proper ear piercing care. Physical activity during the healing period is a good thing. Listen to your body. Change your bedding often, and generally take care of your clothing and body. Wear comfortable, breathable clothing. Better take showers than baths: the second can bring in a piercing more bacteria. If you cannot resist taking bath, rinse the piercing after water procedures. The more healthy lifestyle you have, the better your piercing will look and feel. Help the body in healing of the piercing, eat right, take nutrients and vitamins. 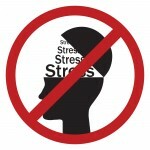 Avoid stress: according to some sources, it can increase the healing time of the piercing by 40%. Avoid cleaning the piercing with any alcohol, hydrogen peroxide, iodine, triclosan free and benzalconia substances or other aggressive products: they can damage cells. Also avoid ointments, which reduce air circulation. Avoid over-cleaning, friction with clothes, do not “play” with the jewelry. This hinders the healing process. Avoid contact with the bodily fluids of other people. In addition to those already mentioned, have less drinking, smoking and avoid diving in waters like lakes, pools, hot tubs, etc. Protect your piercing using a waterproof breathable plasters – you can buy them at any pharmacy. Do not change jewelry even partially until complete healing of the piercing.